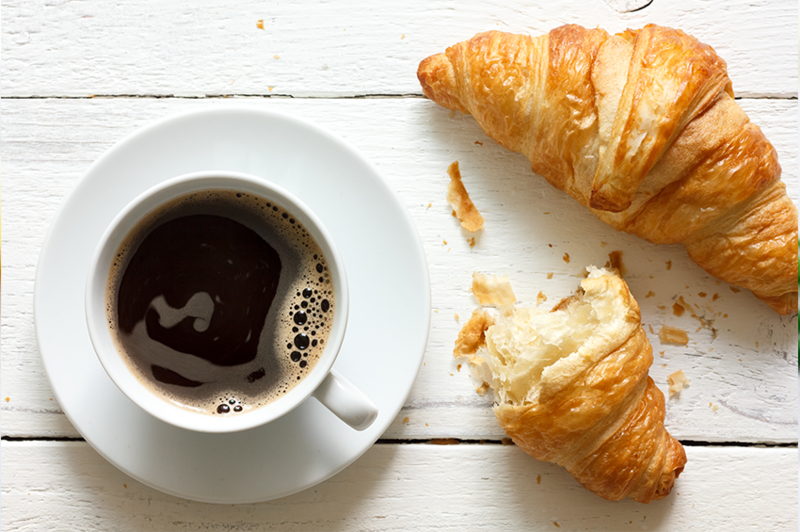 Bring your family in to dine with us or to stop in and have a cozy hot coffee with a friend! We have ample parking, many directional signs to make finding us easy, and our building is handicap-accessible. Metz Dining at Houghton College is committed to working with our neighbors to develop a long-lasting, positive relationships which is why our locations are open to the public throughout the year. M - Fri | 7 - 9:30 a.m. Sat | 8 - 9:30 a.m.
M - Sat | 9:30 - 11 a.m.
​Sun | 9 - 11:30 a.m.
M - Sun | 11:30 a.m. - 1:30 p.m.
M - Sun | 1:30 - 5 p.m.
M - F | 5 - 8 p.m. Sat & Su | 5 - 7:15 p.m. The Dining Hall is located in the Campus Center on the second floor and is an all-you-care-to-eat location that offers our fresh and healthy signature concepts for breakfast, lunch and dinner, plus brunch on the weekends. 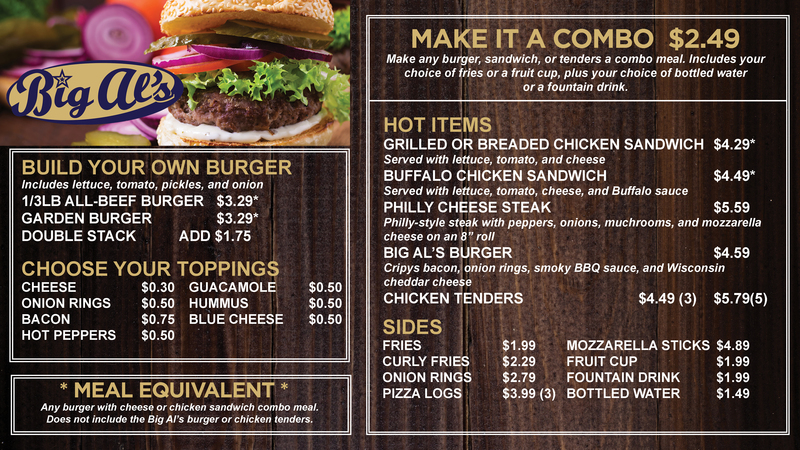 Options include hot entrees, a fresh salad bar and scratch made soups, pizza and pasta, made-to-order deli sandwiches, grilled items and much more! ​*Children ages 4 and under eat free, Child rate is for ages 5-11 yrs old, Senior rate if for 60+ yrs old. ****The times noted are valid when school is in session. Hours vary while on breaks and over summer vacation. Students and guests are able to purchase meals in the dining hall with cash, credit card, debit card or flex dollars, if available. Weekday Lunch -- M - F | 11:30 a.m. - 1:30 p.m. / Dinner -- Su - Th | 8 - 11 p.m. and Fri & Sat | 8 p.m. - 12 a.m.
​Looking to grab a quick meal or snack, then look no further than Big Al's featuring Poblano's, made-to-order burgers, and other favorites like cheesesteaks, crispy chicken tenders, mozzarella sticks, and so much more! You'll find Big Al's in the lower level of the Campus Center to the right of Java 101. 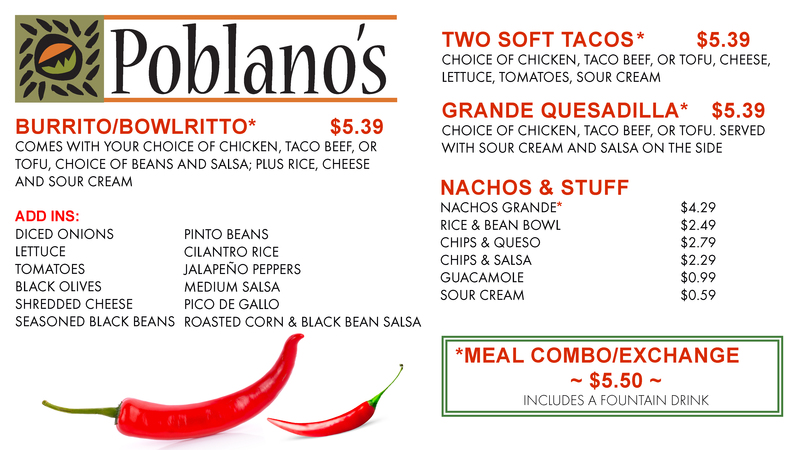 ​Located next to Big Al's, Poblano's offers guests an extensive selection of burritos, tacos, and quesadillas. Feast on chips with cheese, guacamole, or fresh salsa. 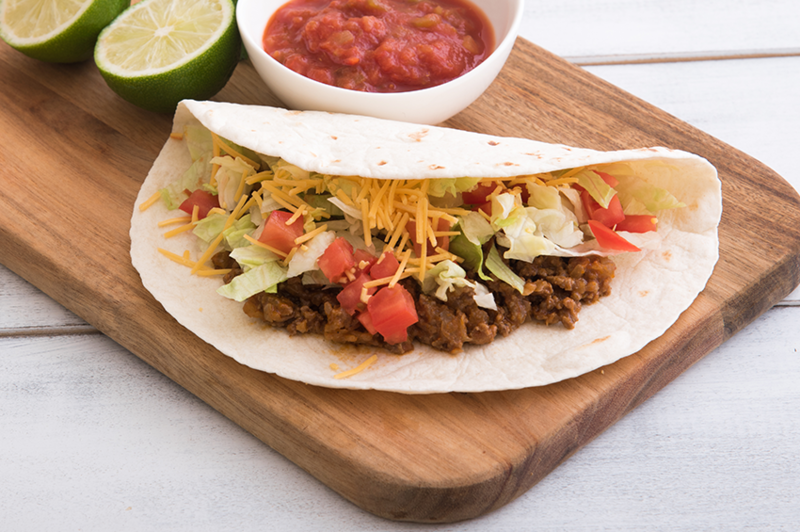 And be sure to try our authentic Mexican rice and beans! 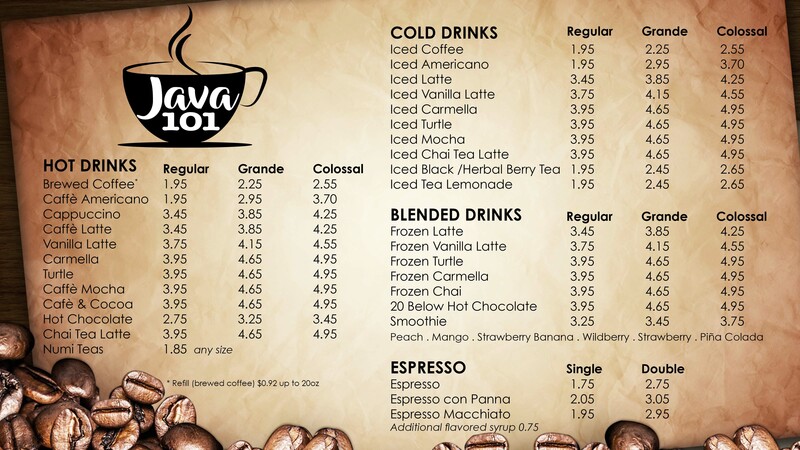 M - F | 8 a.m. - 11 p.m. / Sat | 11 a.m. - 11 p.m. / Sun | 1 - 11 p.m.
​Java 101, featuring Finger Lakes Coffee, is a local coffee house specializing in delicious coffee drinks made to order, including cappuccinos, lattes, espresso, iced coffee, chai, frozen coffee beverages and smoothies. ​We also serve a wide variety of Up for Grab selections including fresh sandwiches, deluxe salads, meal replacement products, and freshly prepared gourmet baked goods. See our calendar for events such as live music, art shows, open mic and game/trivia nights.